Motorola has been doing this really cool thing for a couple of years now called Trusted Devices. 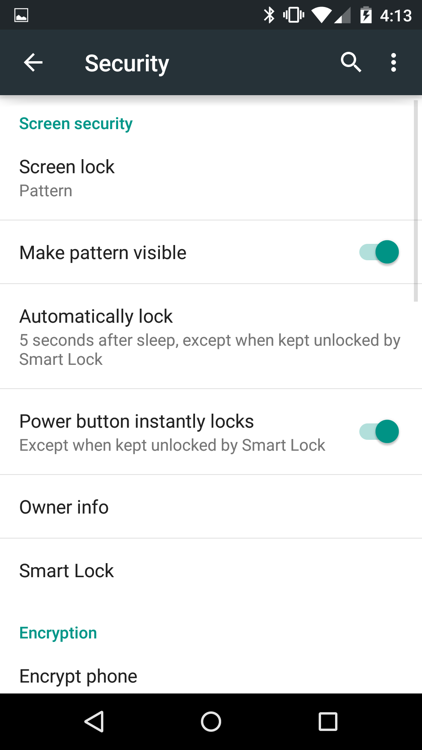 The idea behind a trusted device is pretty simple (our tutorial on the Moto X) – when you have select Bluetooth devices paired to your phone, you can tell your phone to let you bypass a secure lock screen without having to enter a PIN, password, or pattern. It could be a watch that you wear with your phone all day, so that your phone remains mostly unlocked when with you. Or it could be your car, for example, which would allow you to skip by your lock screen security to make for easier (and safer) access while on the go. But, if you were to disconnect from those trusted devices (lose your phone at a bar), your phone would then revert back to being fully locked by that pattern, PIN, or password to protect your information. Make sense? Google added Trusted Devices to Android 5.0 “Lollipop.” This is awesome news because it should mean that in the future, all Android phones running Android 5.0 or higher will have access to this super convenient feature. 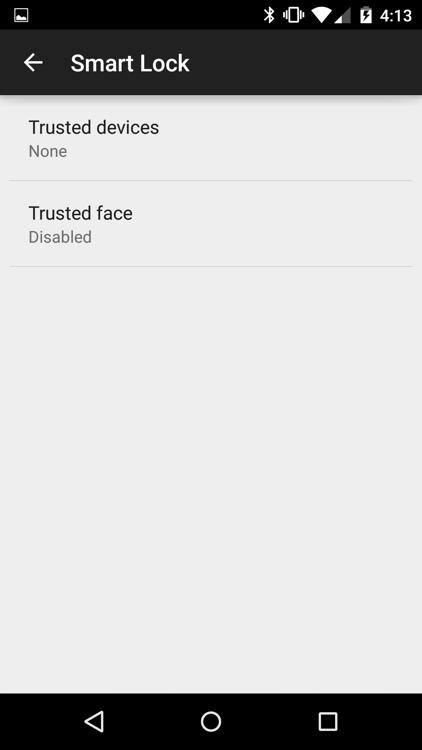 Google takes Trusted Devices to another level by adding in NFC sticker support, as well as your face. The face stuff is basically just Face Unlock, a silly feature that allows you to unlock your phone with facial recognition. NFC stickers, on the other hand, make for an interesting use case. 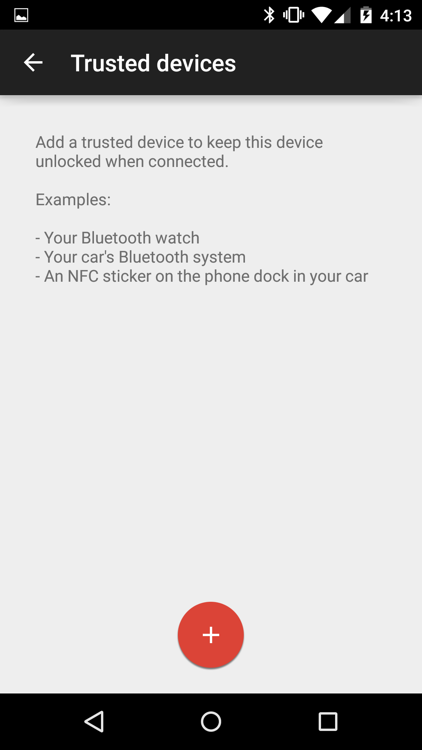 As you will see in the screenshot below, an example use would be putting an NFC sticker that’s “trusted” in the dock of your car, so that each time you set your phone on it while driving, the phone will remain unlocked. Pretty cool, right? 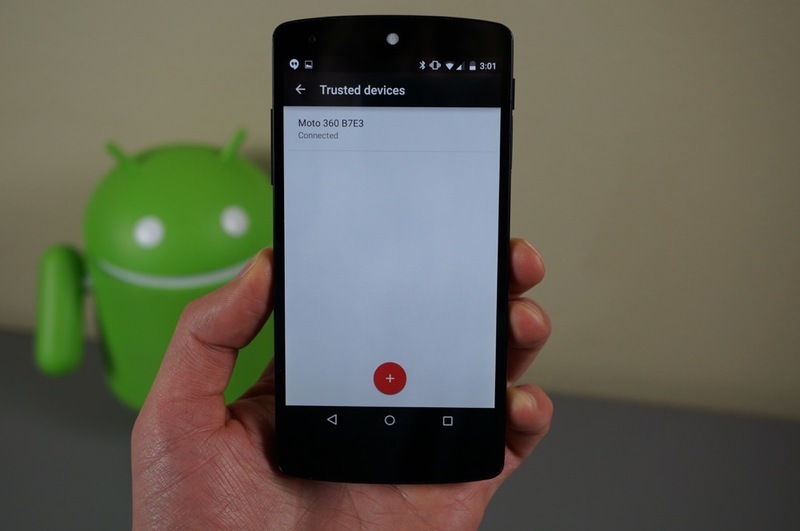 To see Trusted Devices in action on Lollipop, check out our video below.